Highland Green former T-code. Now a 289 with a 4-speed. The price is down to $9,000. Probably the non-originality is the biggest factor determining price, along with the fact that it was a 6-cylinder car to begin with. I see some paint flaws as well. A lot of guys don't care about that stuff and just want a driver, but for a special model, those things seem to weight heavier in dragging prices down than for a run-of-the-mill '68 Mustang IMO. There is no phone number attached to the ad and the seller is not responding to emails through C/L. The car is SOLD as of today. No I did not buy it. Looking at cars for my friend basically. 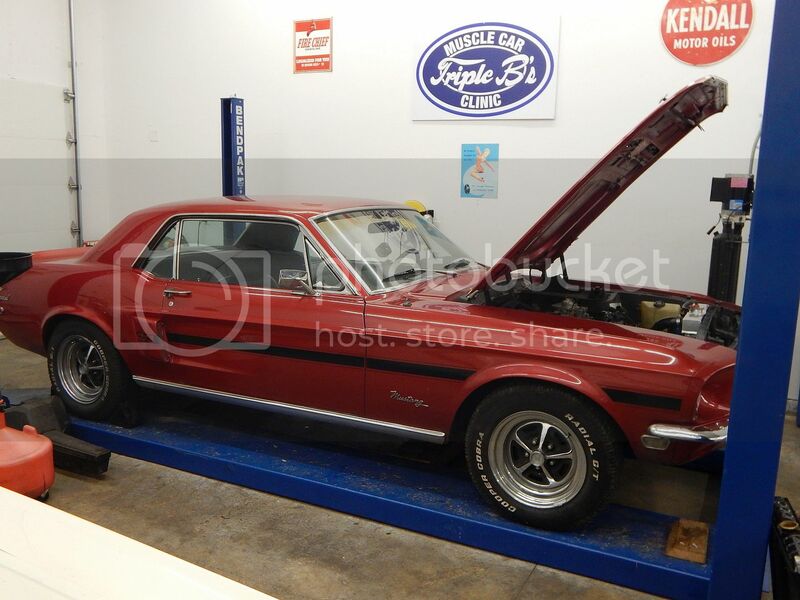 I am in the middle of a 68 GT350 restoration at the moment. This car is for sale again. It's for sale again, at a slight price increase!!! The wheel opening moldings have been removed. Looks like they lowered the stance a bit. No headliner for sure. Looks like a nice car, but again a close up inspection would be needed. Price is steep. Wonder if it was repainted? I usually never have little negative to say, but this is an example of what the wrong tire and wheel combination looks like. Only in my opinion, and others may like it sitting this way. My guess is 4 people in this car will result in tire rubbing. Awesome!!! I love the color!! And it looks very familiar!! !